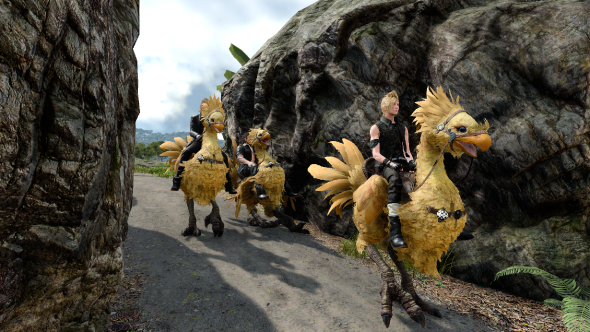 It appears that Final Fantasy XV’s Windows Edition has been cracked before it’s even had a chance to launch. There are plenty of really great RPGs to buy legitimately on PC, and here’s our list of some of the best. We previously reported that Final Fantasy XV Windows Edition would not be using Denuvo’s anti-piracy software, based on a change to the game’s Steam page and EULA. It turns out, however, that Square Enix are using Denuvo encryption, and the store pages have been updated again to reflect this. The game launches March 6. It took Italian crack group CPY three months to get through Denuvo 4.9’s protections on Assassin’s Creed Origins, likely thanks to the additional layer of Ubisoft’s own DRM. The group cracked Denuvo 5.0, used in the PC port of Final Fantasy XII: The Zodiac Age in just 17 days. Final Fantasy XV most likely uses Denuvo 5.0. But the FFXV crack may not have anything do with Denuvo at all, because it seems to have been a much simpler workaround. According to a post to Neogaf, Chinese crack group 3DM used the .exe file from the Final Fantasy XV demo to load the full game from the apparently unencrypted pre-load files available from Origin. After that, it was simply a matter of zipping and uploading the package to torrent sites. For obvious reasons, it’s not possible for us to verify any of this right now. But the CrackWatch subreddit tends to be pretty accurate about these things.